Citation (English): Stanimir Panayotov, “Heart’s Unreason: A Reading of Edelman’s Anti-Futurism through Bataille,” Identities: Journal for Politics, Gender and Culture, Vol. 8, No. 1 (Winter 2011): 129-138. 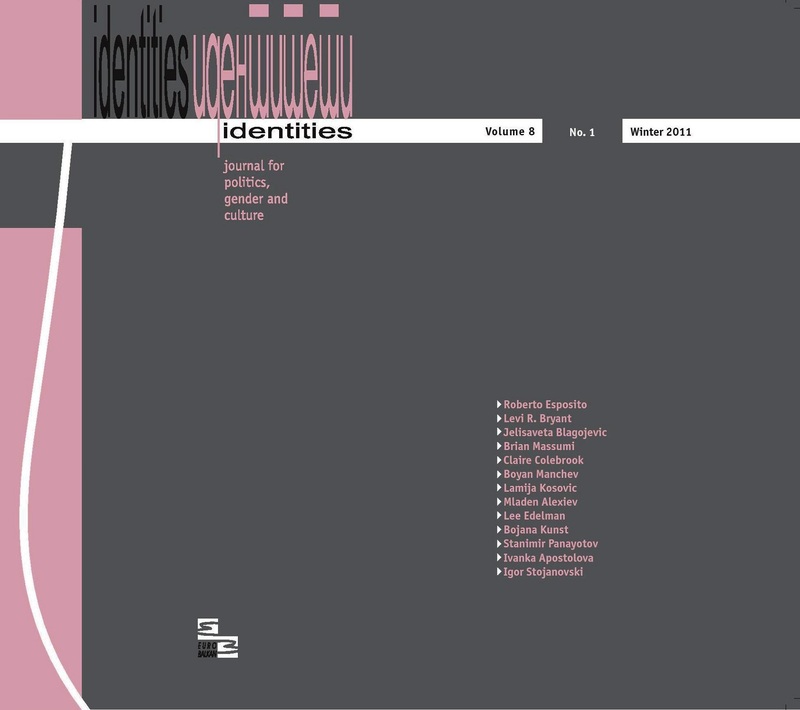 Identities is published under the following license: Creative Commons Attribution-NonCommercial-NoDerivatives 4.0 International (CC BY-NC-ND 4.0). Under this license, users of our content must give appropriate credit to authors and source as well as indicate if changes were made, cannot be used for commercial purposes, and, in the instance that it is built upon or transformed, may not be distributed. For Identities, the copyrights allow the audience to download, reprint, quote in length and/or copy articles published by Identities so long as the authors and source are cited. For more information on our license, see the following: https://creativecommons.org/licenses/by-nc-nd/4.0.